2015 is the year mainly for the food tech apps in India. Many of the food tech apps got lot of funding from the investors. Holachef, Mumbai based online curated food delivery service working with chefs for menu planning, food packing, storage, customer service, quality control, was the top most food-tech curator that ruled the year. Founded by Saurabh Saxena and Anil Gelra in May 2014, Holachef’s inception was inspired by the thought of providing new, exciting and superior home quality food that can be relied upon as a daily eating option without the hassles of maintaining a kitchen. The platform also secured Rs 20 crore in Series A round of funding led by venture capital firm Ratan Tata. Collaborating with chefs enables them to offer their customers variety on a daily basis – from authentic regional food to international cuisines. Deliveries are made within pre-selected time slots in one-person meal format to ensure nil or minimal food wastage. With its temperature controlled storage facilities, exclusive training for food-handling staff and efficient deliveries. Swiggy, online food ordering marketplace that has raised $18.5 million from SAIF Partners, Norwest Venture Partners and Accel Partners through two rounds of funding. Founded by Sriharsha Majety, Nandan Reddy and Rahul Jaimini in August 2014, its inception was inspired by the thought of providing a complete food ordering and delivery solution to customers. The idea was to get the choicest of food from the best restaurants in a neighborhood delivered to customers, at their doorsteps. A single window for ordering from a wide range of restaurants, Swiggy swears by its exclusive fleet of delivery personnel for order pick up. As it has its own delivery fleet enables them to offer their customers several convenient features like faster deliveries, no minimum order and multiple online payment options. foodpanda is the leading global online food delivery marketplace, active in 40 countries on five continents. The company enables restaurants to become visible in the online and mobile world and provides them with a constantly evolving online technology. 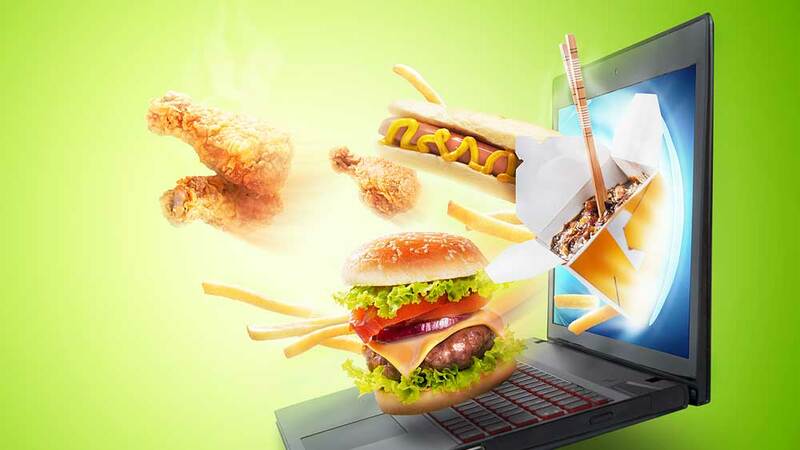 It offers the convenience to order food online and the widest gastronomic range, from which they can choose their favorite meal on the web or via the app. It has built proprietary food ordering software and technology for over 40.000 partner restaurants and over 6mm active users worldwide. Additionally, foodpanda is able to ensure in-time delivery and quality through proprietary, own “last-mile” delivery technology and operations – even in complex markets and cities. With the last funding of USD 110 million in March 2015, foodpanda again raise over USD 310 million. Founded by Deepinder Goyal and Pankaj Chaddah in 2008, it is a restaurant search and discovery app, providing in-depth information over 1.4 million restaurants. Currently operates in 23 countries, including India, Australia and the United States. It features restaurant information such as scanned menus and photos sourced by Local Street teams, as well as user reviews and ratings. Zomato is used by consumers globally to discover rate and review restaurants and create their own personal network of foodies for trusted recommendations. The company also provides cashless payment, online ordering, white-label apps, table reservation and point-of-sale systems. Even Zomato has raise $50 million (Rs 311 crore) from existing investors in a round of funding led by Info Edge. SnapLion, the first companies to introduce the concept of DIY (Do it yourself) app in India. But now plans to become an end to end technology provider for the food and beverage (F&B) industry. The apps help to engage with customers, drive loyalty and grow revenue. The apps help to build value to the brand, Create, publish, promote. Now, the company will in the process of rolling out analytic tools to help business owners better understand consumer behaviour, their own point-of-sale system and tools to help with inventory management in the kitchen. Presently, 40 per cent of SnapLion's customers are located in India many of these are restaurant chains with multiple outlets like Smokin Joes and The Beer Cafe. It has raised an undisclosed round of funding from Orios Venture Partners, India Internet Group, Blume Ventures and India Angel investores. Will e-commerce route help Motherâ€™s Recipe ..